Otomatik Temiz Gazlı Yangın Söndürme Sistemleri, üstün özellikleri sayesinde çeşitli sebeplerle ortaya çıkabilecek tehlikeyi kontrol altına alarak, korunan mahaldeki tüm ekipmanların hasar almadan korunmasını sağlar. 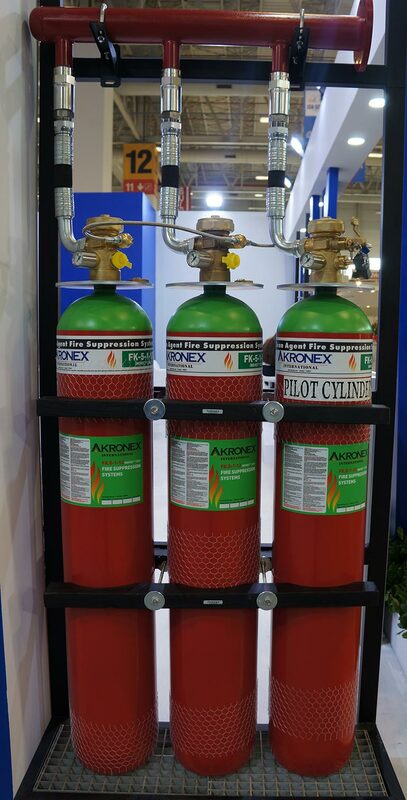 FK-5-1-12 Fire Protection Fluid used in AKRONEX 5112 Clean Gas Fire Extinguishing System is a revolutionary new technology. 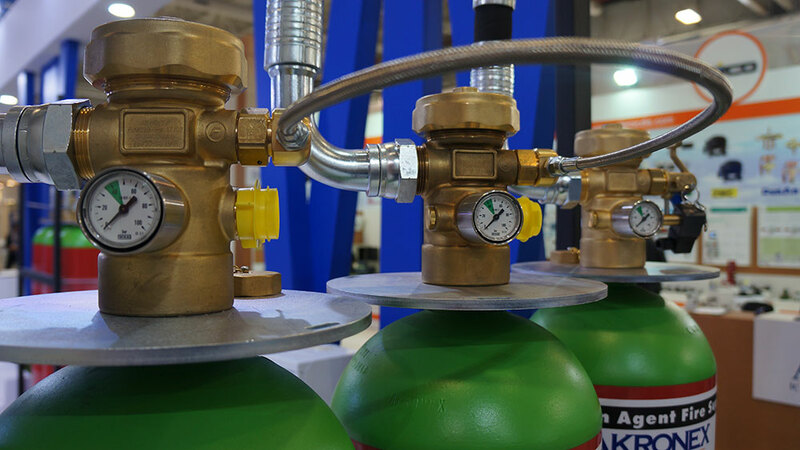 The Akronex 5112 system can be pressurized at 25 and 42 bars. With its zero ozone depletion potential, extremely low global warming potential and short atmospheric life, FK-5-1-12 fluid is one of the chemical gases that replace Halon. The cylinder valve assemblies are equipped with a pressure differential high flow rate valve to meet the 10-second fast discharge time specified in NFPA 2001. The valves are operated by electric solenoids and pneumatic actuators or by manual actuators which reduce the pressure on the piston. This allows the piston to open the valve and allow the extinguishing agent to come out.All products are designed and certified according to national and international standards. 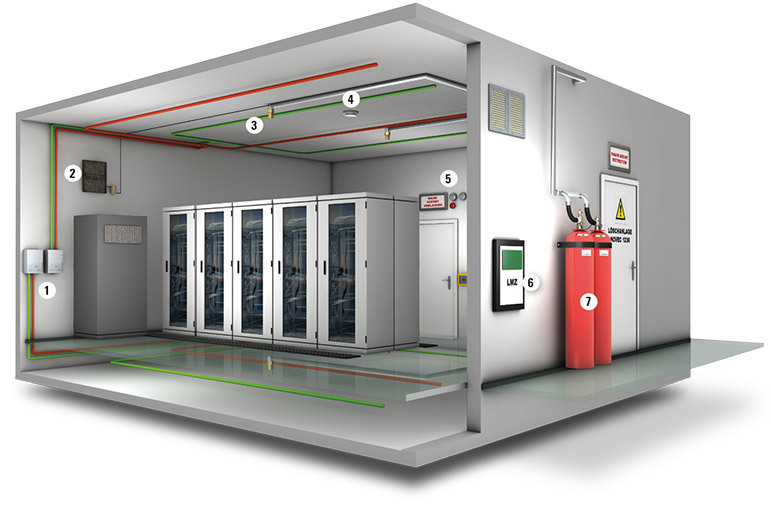 When you specify a system for fire protection, your choices can determine whether a person, a valuable asset, or an entire business can survive from a fire. 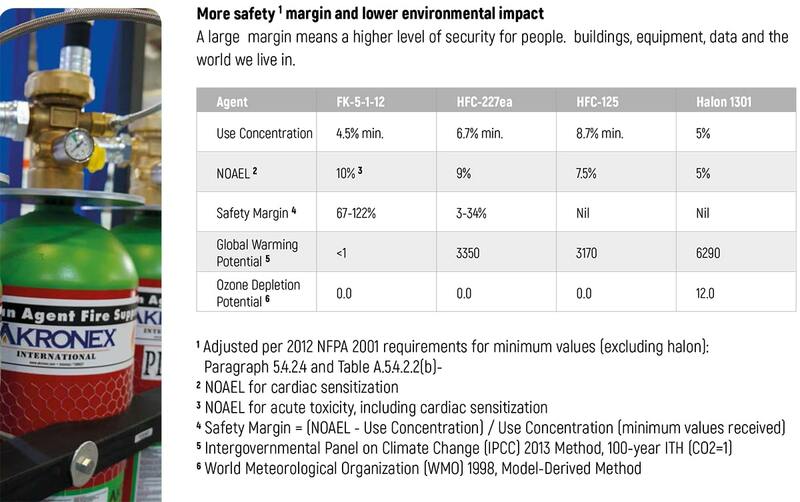 It creates an environment where people can be more secure. No damage to electronic equipment or stored data. It provides a high level of protection for libraries, paper archives, historical documents, valuable artworks and antiques. Global warming potential is very low and has no effect on the ozone layer.